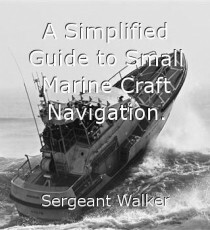 One of a series of "Simplified Guides" for Small Marine Craft operators up to 100 tons. Measuring Distance and Speed at Sea. The Use and Calibration of Marine Logs. Calculating Navigational Time, Speed, and Distance. Measuring Water Depth by Poles, Sounding Leads and Lines. Measuring Water Depth by Echo Sounder. Binoculars, an aid for Navigation. Navigational Aids for Sail Powered Craft. Small Marine Craft Automatic Pilots. DR Computer, an aid to Navigation. Required Chart Instruments for Navigation. The Measurement of Latitude and Longitude. The Construction of Navigational Charts. Chart Scales, Graduations and the Measurement. A General Description of Charts.